ISLAMABAD: Prime Minister Imran Khan Tuesday said that the government believed in freedom of expression and considered critical eye of independent and vibrant media vital for keeping the government on right track. 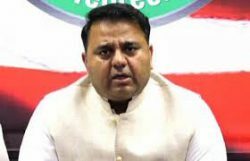 Talking to Federal Information Minister Ch Fawad Hussain who called on him at the Prime Minister’s House Prime Minister reposed full confidence in Information Minister and hoped that he would swiftly translate government’s policy of providing complete freedom to media outlets into reality. Information Minister Ch Fawad Hussain briefed the Prime Minister on the functioning of his ministry and the steps his ministry had taken for facilitating media outlets in dispensation of their professional duties. Information Minister said that they were also working on plan to reduce the undue interference of his ministry in the working of state-owned media outlets—Pakistan Television Corporation and Pakistan Broadcasting Corporation. He gave a detailed overview of the steps being taken to transform the stat-run media organisations — Pakistan Television Corporation and Pakistan Broadcasting Corporation- more efficient and effective. He also informed the Prime Minister about other issues pertaining to his ministry and the government-media relations to get the positive image of the country projected in effective manner. 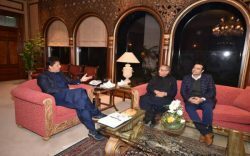 The issue of government advertisement to media organisations also came under discussion and Ch Fawad Hussain informed the premier that they were evolving a transparent policy on advertisement distribution wherein no one could get out of turn benefit and things would be handled in transparent and judicious manner. 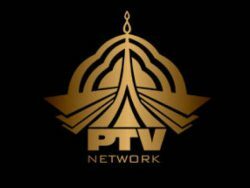 Prime Minister also wanted to see more freedom to the state-own media entities and asked the Federal Information Minister to put a mechanism in place so that both PTV and PBC could play their role in more effective fashion. Prime Minister also wanted the Information Ministry to play a leading role in all matters related to media. The Prime Minister said that government will provide every possible support and resources in projecting Pakistan’s image abroad as well as highlighting Government’s agenda of reforms and change before the public. The Prime Minister said that the present government fully believed in freedom of expression and the critical role of an independent, vibrant and responsible media towards socio-economic development of the country. He reiterated that the government will facilitate media in every possible manner towards discharge of its professional obligations. Secretary Information Shafqat Jalil was also present during the meeting. Meanwhile taking to MNAs belonging to Dera Ghazi Khan, Prime Minister Imran Khan said people of southern Punjab expressed confidence in the ideology of Pakistan Tehreek-e-Insaf in 2018 elections, and the region will become a developed part of the country. The Prime Minister said Pakistan is going to be changed for all times to come. He said our objective is to make Pakistan a real welfare state, uplifting the downtrodden segment of the society. He said Pakistan is rich in natural resources, but unfortunately, they have not been exploited optimally. The meeting reviewed progress in administrative autonomy in southern Punjab. It was decided that Public Affairs Wing at Prime Minister Office will be made operational to immediately solve pubic problems and address issues related to development projects in National Assembly constituencies. It was also decided that committee comprising members of the National Assembly will be formed at divisional level, which will ensure solution of people’s problems with the consultation of local leadership and provincial government. The MNA who called on the Prime Minister included Shireen Mazari, Zartaj Gul, Muhammad Shabbir Ali Qureshi, Makhdoom Basit Bukhari and Aamir Talal Gopang.